Historically employed to estimate and measure the likely material requirements for any building project, the role of the modern quantity surveyor is diverse, with a wide range of employers and geographical locations to match. Change continues to be a feature in quantity surveying practice, with the New Rules of Measurement, the RICS Black Book and Building Information Modelling (BIM) all adding to the already dynamic environment in which the Quantity Surveyor operates. 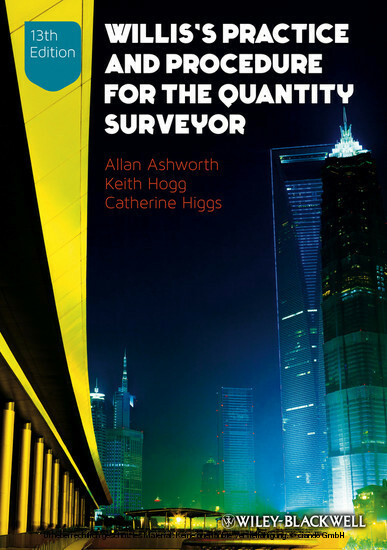 This new edition of Practice and Procedure for the Quantity Surveyor reflects that dynamic environment, addressing changing practices and procedures in the profession, whilst focussing on the core skills which are essential to success. 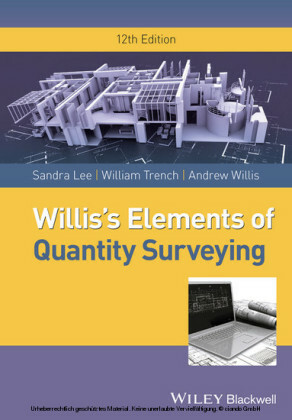 The 13 th edition of this classic text, originally written by three generations of the Willis family (all quantity surveyors) continues to provide a thorough introduction to the work of the quantity surveyor in private practice, in public service and in contracting organisations. Allan Ashworth DUniv (Hon), MSc, MRICS is a Visiting Professor at the University of Salford and the Adjunct Professor in Quantity Surveying at UTAR in Malaysia. He is a former HMI (Her Majesty's Inspector) in the Department for Education and Employment and the Senior Academic Advisor to the Centre for Education in the Built Environment based at the University of Salford. Keith Hogg BSc, PGCE was, until his recent retirement, Associate Dean (Development) in the School of the Built Environment at Northumbria University. He worked in private practice in the UK and overseas and engaged in research and practise in areas of risk management and value management. Throughout much of his career he was closely involved with the RICS in areas of Quantity Surveying Practice and Surveying Education. Catherine Higgs MSc, MRICS is a Senior Lecturer in Quantity Surveying and Associate Head of the Department of Construction and Property at the University of the West of England, Bristol. She is also a UWE Teaching Fellow with a strong interest in the pedagogy of quantity surveying practice.